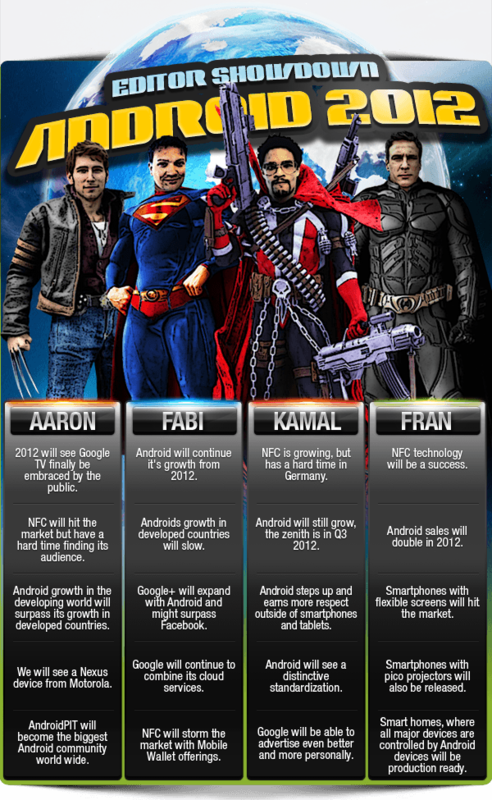 Last Friday, we brought you part one in our Android predictions for 2012. Now that you've had the weekend to chew over what the most frequent contributors to AndroidPIT have to say about the coming year Superman himself....er... I mean Fabi, one of the founders of AndroidPIT, has decided to throw his hat into the ring. In Part two of our continuing series of Android predictions, Fabi tips his hand and lets in on what he thinks the biggest trends in the Android world will be. 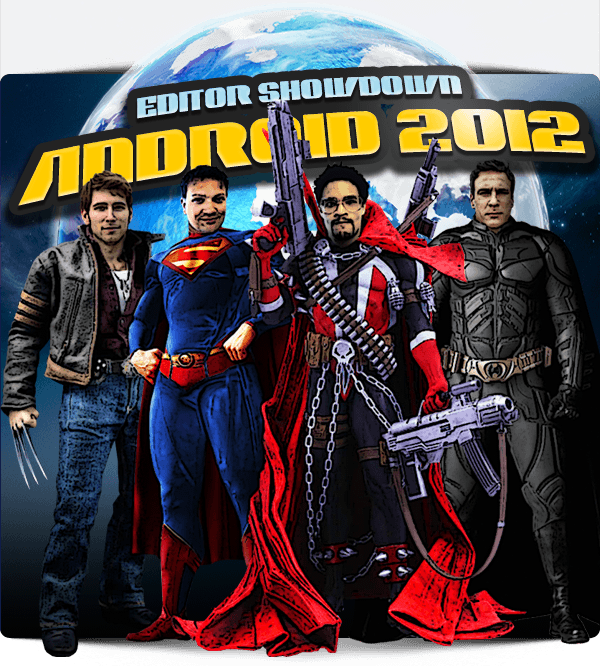 It wont surprise anyone that Android will continue to grow as a community and as an ecosystem in 2012. The momentum that Google was able to develop in 2011 will bring us through the year at a brisk pace and it wouldn't be surprising, if we hit more then a million Android activations per day in the second quarter of 2012. Android won't just defend its number one position, it will be able to expand on it. 2. Android's growth will stagnate in developed countries. But it can't all be good news. After Android hits its peak in Q2 2012, expect sales number to stagnate and maybe even decrease slightly. This isn't because the Android system has peaked as some have claimed but rather , because it's been too successful eventually ever market become saturated. This is where the developing countries come into play; they represent the next field in the continuing expansion of the Android mobile platform. 3. Google+ will continue to grow in importance and might just pass Facebook. Google should be able to capitalize on the ever expanding popularity of its smartphones to expand on its social network popularity and because of the shear amount of new users it might just be able to pass Facebook in terms of new users. Of course, baring an act of God, Facebook will remain on top, but Google+ will start to catch up. 4. Google will continue to combine its offerings with cloud computing. Google's ace in the whole is their major lead in cloud-based services. Be it google music, docs, calender, etc. etc. etc. all of their major services are based around a cloud computing solution and Google+/Android is looking to be many people's first taste of Google cloud services. And once people get a taste of the possibilities, it will be hard to go without. 5. NFC is coming and Mobile Wallets will lead the charge. We've already written about the benefits of NFC here at AndroidPit. Expect the technology to take off this year as more and more companies discover the benefits of the new technology. It will start with Mobile Wallets similar to Google Wallet and will take off from there.